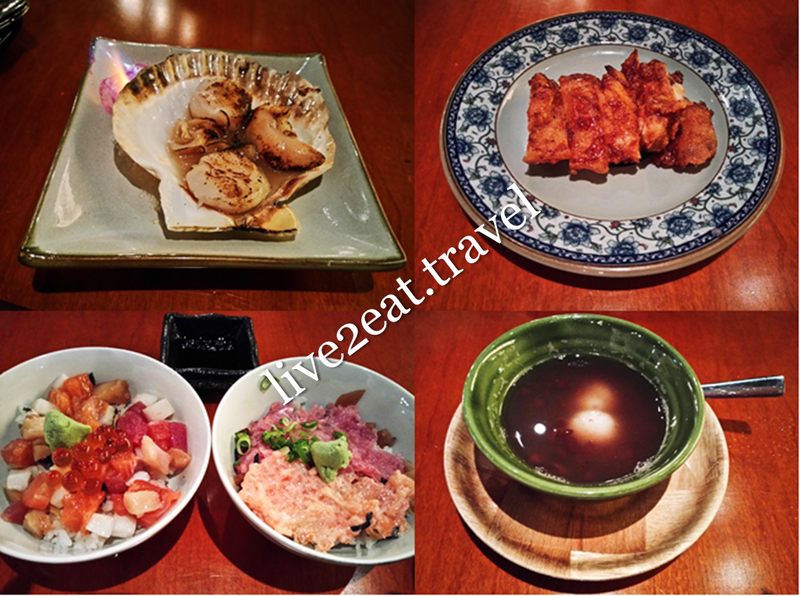 One of my dining companions chanced upon Hana Restaurant's promotion of 9-courses Omakase dinner at $30++, applicable only on Mondays. So we decided to make reservations for a table of six at the 1-year-old Japanese restaurant, located on the 1st floor of Forum The Shopping Mall. Not all of us ordered the “leave-it-to-chef" menu. My dining companion who ate the hot (cold version is also available) Inaniwa Udon could not stop raving about it – springy thin wheat noodles good enough to eat on its own and delightfully light broth not so salty that it could not be slurped up. A tad expensive for plain noodles, I thought, especially since the add-on Tempura consisting of two prawns and three vegetables was 40% cheaper at $6++. Another dining companion had Oyako Don or braised chicken on rice, which I found to be value for money at $12++. The verdict: flavourful, tender and nothing to fault. 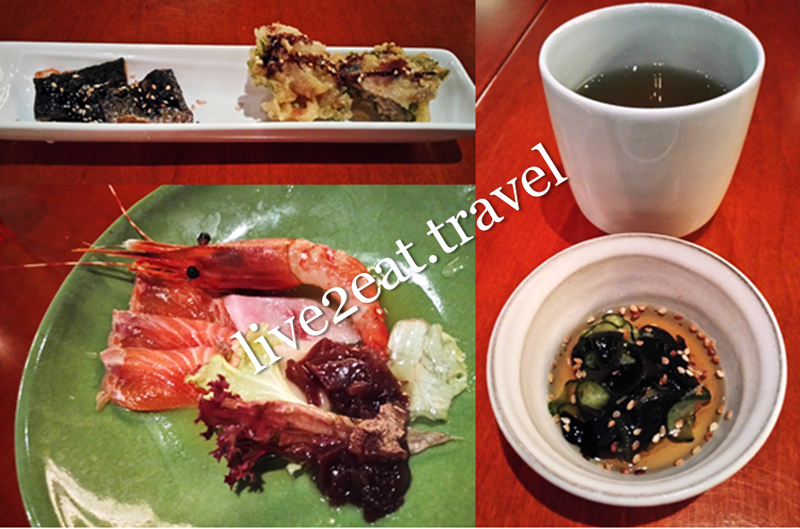 Our Omaskase meal started with agemono of deep-fried salmon skin, and fish with a whole leaf. I loved the sesame seeds on the former, with nary a flesh on it. This was followed by sunomono of Wakame Kyuri Su, vinegared seaweed and cucumber so sour I cringed. Next up was sashimi or what I felt was more like sarada as the raw salmon slices and prawn was served with greens in plum dressing so no soya sauce and/or wasabi is needed. Could not fault the dish though, and the char-grilled scallops on shell. Highlight of the latter, which was fresh and succulent, was the flame. Deep-fried chicken had a crisp skin, was tender and well-marinated. Thumbs up! Then, two mini charashi bowls were served. Rice topped with raw salmon and tuna – one was minced so it resembled raw minced pork and beef, the other was cubed and had salmon roes too. There was nothing to rave about these, and the azuki dessert with bland and soft mochi that was neither chewy nor springy.